Botanica | Zonyxa. Unique and contemporary jewellery for Work. Love. Play. 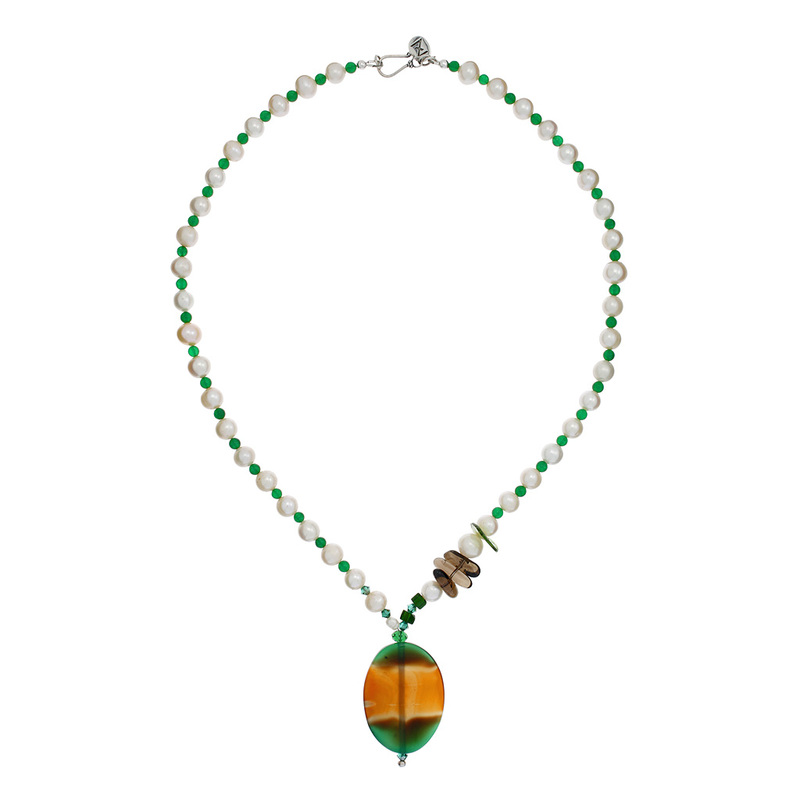 Projecting pure joy and striking playfulness, the ingredients tell the story: beading created from regular freshwater pearls with delicate green agate rounds between, complimented by chips of brown smoky quartz and tiny cubes of dark green smaragd. 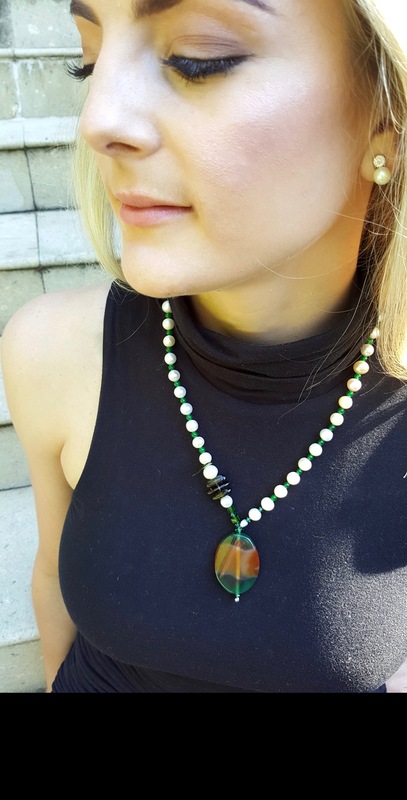 Dominating the piece is a rainbow-like green-brown oval of agate, adding a little spark by incorporating green Swarovski crystals on each side.